NO2 BEST Product I've found…plus info on Creatine~! 1- OVERDOSE- this is a more mild version of a pre-workout creatine. Many creatines cause stomach irritation and contain a TON of stimulants. This one is good in that I’ve never had a “bathroom” issue with it and I don’t feel crazy buzzed from it. Take it as directed on the container. 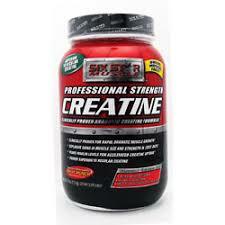 2-6 Star muscle brand Professional Strength Creatine (fruit Punch)- this I get at Wal-Mart. I like this because It has NO stimulants in it so I can take it any time of day! I also love the taste and love the results from this product. Posted in SupplementsTagged Blast 2, Cause Stomach, Concoctions, creatine, exercise, Fruit Punch, love, Mild Version, No2, Nrg, Pre Workout, Product Question, Professional Strength, Raspberry, Reason, Stimulants, Stomach Irritation, Time Of Day, Wal Mart, workoutcommentLeave a Comment on NO2 BEST Product I've found…plus info on Creatine~! What "Special Flavor" would you like to see in our all new NRG-X Labs Protein? ?